Social media becomes a busier place every day, a limitless digital world that's increasingly harder to navigate as a result. As an independent artist, it's vital to understand not only how to use social media platforms to your advantage, but also to identify which people are worth following. All brands and businesses are tasked with the responsibility of having a prominent presence on social media, but the most efficient way of leveraging platforms such as Twitter and Instagram is to engage with individual influencers. There are thousands of websites and blogs out there fighting for your attention and baiting you to click on their Drake vs. Meek Mill-type stories, but these kinds of hot topic articles should be an extremely low priority for aspiring musicians. The type of content worthy of your time is advice from music industry veterans who understand the ins and outs of the business. For young artists who are just becoming acclimated to music as a career, there is much to learn from those who have experienced it all. From artist managers to media savants, the industry is filled with respectable professionals who have lived through the best and the worst of hip-hop as it's evolved over the years. But in today's hectic digital climate, it isn't always easy to know which Twitter accounts are trustworthy with so many opportunists out there who are thirsty to capitalize off of unsuspecting artists. Steer clear of the gossip, and use social media as a productive learning tool by following these five hip-hop accounts on Twitter. Know your worth ..know what you deserve.. Never settle for less. Media maven. Entrepreneur. Content creator. These are the titles that Karen Civil uses to describe herself on Twitter, and they're all quite accurate for a woman who has been a major influencer in the world of hip-hop over the past several years. From creating her own content platform, KarenCivil.com, to being an instrumental figure in Dipset's rise to prominence back in the early/mid 2000s, Civil has accomplished quite a bit in the business, and she has more new projects on the horizon. When you follow Karen Civil on Twitter, you get everything from the latest hip-hop news to insightful factoids of her experiences working in the industry, and the latter should be particularly important for indie hip-hop artists seeking gems from someone who brings in packed crowds to every panel she appears on. This feature in XXL sheds some light on Civil's background and the story of how she reached her current status as a "power player." While the accolades are nice, what's most important is the fact that Karen Civil is someone who connects with people in a unique way. Whether she's interviewing well-known acts or giving advice to rising indie artists, Karen is widely respected for a reason, and a must-follow for anybody who's interested in making a living by the means of music. Drive, patience, and consistency. If you do those things no one can stop you. With a Twitter name like Blame The Label, indie artists should automatically gravitate toward the social media account of Amir Abbassy, a music-industry veteran who played in a key role in Freeway's career as his manager during his prime years under Roc-A-Fella. Abbassy makes it a priority to demonstrate how independent artists can monetize their music without the backing of a major label, and his Twitter account is the place where you can soak in jewels on daily basis. His inspirational advice applies to life in general just as much as the topic of indie success, and his sharing of upcoming talent is proof that he still has his finger on the pulse of today's independent scene. In short, Blame The Label is the type of Twitter account that's capable of changing your entire perspective in 140 characters or less. While Abbassy may not have hundreds of thousands of followers, his management experience and his positive mindset resonate in his social media presence. You don't have to blame labels for everything; you only have yourself to blame if you don't follow Abbassy on Twitter. Hurts when I hear a young artist so obviously copying someone famous. Like watching a lost child alone in the middle of the street. Independent artists who are hip to today's blog scene should be aware of DJBooth.net, a website that's regarded as one of the internet's primary destinations for those seeking in-depth content on hip-hop. Putting aside my hip-hop journalist title and speaking purely as a fan of music, the features written on DJBooth.net provide an excellent balance between entertainment and insight, an art form that's quite rare these days and does not go unnoticed. One of main people at the helm of DJ Booth is Nathan Slavik, a managing editor and someone who simply does it right on Twitter. As an indie artist, the main reason you should be following Slavik is the fact that he holds nothing back when it comes to commenting on outrageous music submissions or discussing the hot topics of the day. Don't make a desperate plea and immediately tweet a SoundCloud link to Slavik the minute after you follow him because, as you'll learn, that's exactly the wrong thing to do. Read, share, and engage with the content on DJ Booth (or any other respectable blog), and focus on the quality of your own music. If you do this while also paying attention to Slavik's pearls of wisdom (which are particularly relevant to the indie scene), you're putting yourself in the best position to succeed. Stop worrying about "industry people" liking your music and go get you some real fans. The Twitter account of Brianna DeMayo is one that I've just recently stumbled upon, and the timing couldn't be better upon the creation of this list. The tagline of @breezyb215 is that she turns indie artists into entrepreneurs – what rising musician doesn't like the sound of that? There's no shortage of content from DeMayo as she fires off tweets on a consistent basis, and her messages to indie artists tend to be spot on. The great part about following DeMayo on Twitter is the fact that she is still growing her own platforms, and it's inspiring to see someone capable of motivating as they do their own due dilligence in following their own advice. DeMayo may not have the established resume and experience of the other people mentioned on this list, but many independent hip-hop artists can relate to her position in the industry, and that can make her social media gems even more powerful. If you're looking to follow someone who's relatable and accessible as you work to find your path as independent act, DeMayo is your girl. Find your own territory and build upon it. Consult and break bread with other kings. That's what a real king does ain't no handouts. Last but not least, our list wouldn't be complete without mentioning an actual hip-hop artist, someone who lives and breathes music just the way you do. 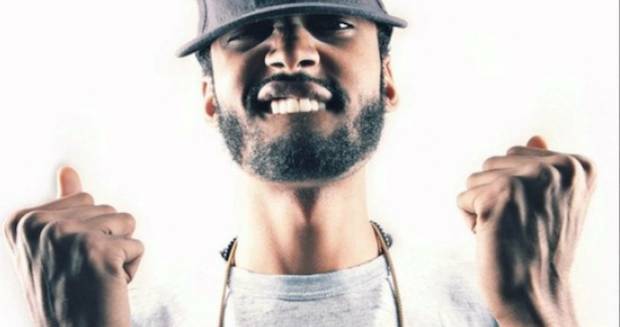 Many hip-hop artists (both established and independent) drop gems on Twitter every once in a while, but New Orleans producer/rapper Chase N. Cashe is someone who stands out thanks to his hard-edged yet valuable advice. Cashe doesn't sugarcoat his Tweets or focus too much on being formal, but the messages he expresses are from the heart and have been birthed by many years in the indie hip-hop game. As a musician, sometimes you need to hear unfiltered feedback from a peer, not a blogger or manager who may not be able to fully understand what you're going through. Not every Chase N. Cashe tweet is geared toward the business of independent music, but the ones that are tend to provide guidance that you can put into action – and it doesn't get much more valuable than that. With so many music industry professionals out there who offer up great advice and insights on Twitter, it just wouldn't be right to limit this list to five people. If you're an aspiring hip-hop artist, I would suggest that you also add every one of these honorable mentions to your "people to follow on Twitter" list, as well. Who are your must-follow Twitter users? Let us know in the comments!